We start off the show with highlights of Kevin Steen&apos;s interview from last week. Kevin calls out Davey Richards, but Jim Cornette denies Steen a match. Kevin mocks Davey and Cornette, and gets punched in the face. The show starts off with The Young Bucks making their way to the ring. TJ Perkins and Shiloh Jonze make their way to the ring. Matt and Shiloh start off the match, and Matt immediately goes for TJ. Matt puts Shiloh down with a shoulder and tags Nick. Nick dives off the top rope, but Jonze gets kicked. Shiloh whips Nick, and connects with a Hip Toss. TJ is tagged, and he locks in an Abdominal Stretch. Nick gets out and whips TJ, but he grabs the ropes like a spider. TJ quickly goes for Jonze, and Shiloh is tagged. Shiloh gets in the ring and does a Dropkick. Shiloh goes top rope, and soars and scores. Pin, but a kick out by Matt. Matt locks Shiloh&apos;s head, and Nick does a Dropkick. The two pose, as TJ tries to get in. Shiloh is put in the corner, and Matt is tagged. Matt goes top rope, and does a Double Stomp. Pin, but a kick out. Matt tries again, and arrogantly pins. Kick out again. Matt Suplexes Shiloh, and pins. Kick out. Shiloh is locked in a Head Lock. Shiloh gets beaten down by Matt. Pin, but a kick out by Shiloh. Matt picks up Jonze, and begins punching. Shiloh is whipped, and puts up a foot. Matt is kicked, and Shiloh tags TJ. TJ neutralizes the Nick, and ties Matt in Tree of Woe. TJ goes for the Dropkick, but Nick grabs him. TJ does a Dropkick, and hits a Neckbreaker on Nick. Shiloh is tagged, and he goes for Matt. Matt kicks him in the head. TJ dives out of the ring to Nick, and Shiloh is being attacked by Matt. TJ goes to the apron, but gets kicked to the floor. Matt and Nick then hit More Bang For Your Buck. 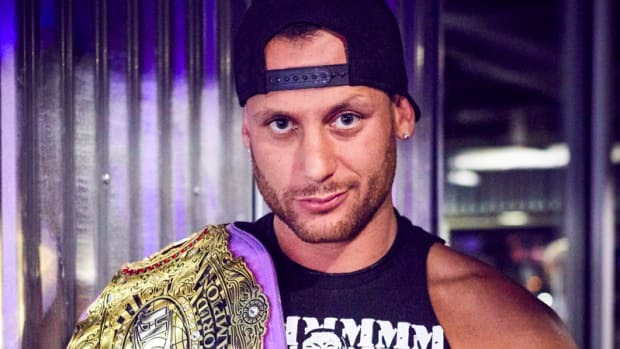 We see a video of Matt Taven and Mike Mondo, former tag partners. We see the developing grudge between the two, and their conflicts. Matt Taven makes his way to the ring. Mike Mondo makes his way to the ring. The bell rings, and the two begin fighting in the corner. They are throwing fists, and Matt is whipped. Mondo is hit in the face, and thrown over the top rope. Mondo tries to get back in, but Matt punches him to the floor. Mike pokes Matt, and whips Taven out. Taven skins the cat, and does a Shoulder Block. Pin by Mike, but a kick out. Mike went to do a move, but Mondo flips away. As Mike lands, he rolls his ankle. 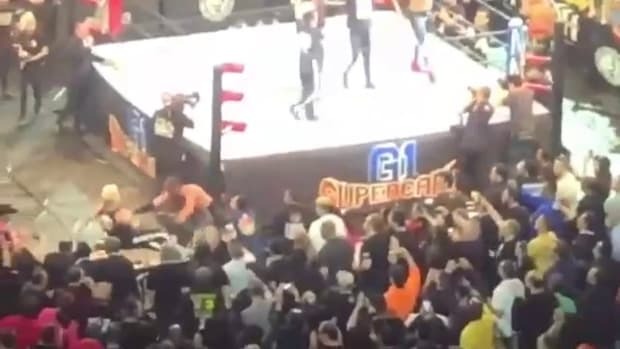 Mike is rolling around in pain, and crawls out of the ring to remove his boot. Mondo is being counted out, and is on the ramp. Matt goes to see Mondo, but Mike was bluffing. Matt is thrown into the barricades back and forth. Mike gets back in the ring, but decides to go back out. Matt has his head smashed in the barricade. Matt is thrown back into the ring and pinned, but he kicks out. Matt is put in a Headlock, but Taven fights out. Mike throws Matt out the ring. Mondo jumps off the apron, but Taven reverses into a Scoop Slam. Mondo is now being thrown into the barricades. Matt brings Mike to the ramp, and Suplexes him on it. Matt Taven puts Mondo back in the ring, and does a Diving Cross Body. Pin, but a kick out. Taven stomps on Mondo&apos;s foot, and goes top rope. As Matt dives, Mondo does a Facebuster. Mondo then does an Underhook DDT for the win. 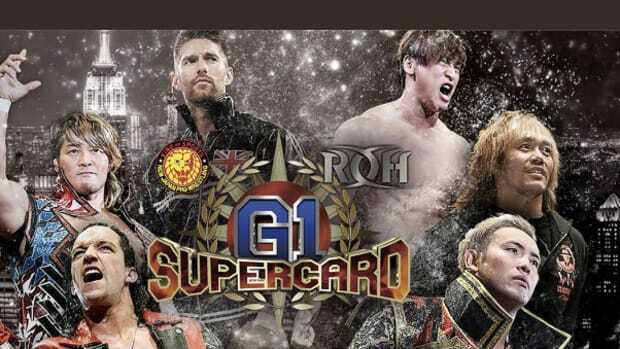 Instead of Inside ROH, we are going to be shown a press conference. Kevin Kelly is talking of Border Wars, and they are saying this is their first international event with Sinclair. Jim Cornette says Fit Finlay and Rhyno are going to be there. As Davey is talking about his previous match with Tyler Black, Kevin Steen comes out. Kevin says a match with Davey is all the people want to see. Davey tells Jim Cornette that if he doesn&apos;t get his match, he will forfeit his title and go to Japan. Jim is nervous, and asks Davey if he can take Steen. Davey assures Jim, and Cornette makes the match official. At Border Wars, Davey will defend his title against Kevin. Adam Cole is backstage saying if he wins the match, not only will he get the money, he will continue his momentous journey. Mike says he has no problem with Tommaso, but will beat Cole and Lethal. Jay says he will beat Tommaso. Ciampa says he will remain undefeated. Adam Cole makes his way to the ring. Tommaso makes his way to the ring, with Embassy Ltd. Mike Bennett comes to the ring with Maria and Bob. Lethal makes his way to the ring. The bell rings and Jay charges for Tommaso. They begin fighting in the ring, and Lethal is whipped. Jay does a Dropkick, and Tommaso goes to the floor. Mike gets in the ring, and begins with Lethal. Collar and Elbow into the corner, and Jay is knocked down by Mike. Jay reverses a Hip Toss with a Dropkick. Pin, but a kick out. Jay lets Adam in, and Cole and Bennett tie up. Cole gets Mike&apos;s arm, but Mike gets a Side Headlock. Cole turns the arm around, and gets a Side Headlock of his own. Bennett picks up Cole, and does a Backdrop Suplex. Mike whips Cole, and Adam is hit with an Atomic Drop. Dropkick by Cole, and a pin. Kick out by Mike. Cole begins kneeing Mike&apos;s back, and does a Running Dropkick. Pin, but a kick out. Adam chops Mike in the corner, and tags Lethal. Jay does an Axe Handle to Mike&apos;s arm. Mike goes for a Baseball Slide, but gets pulled from Lethal. Bennett and Ciampa begin fighting Lethal, and Cole dives on the three standing on the floor. Jay chops Ciampa in the corner, and whips Tommaso. Jay does a Float Over, but gets hit with a Lariat. Pin, but a kick out by Jay. Ciampa begins punching Jay, and Lethal is fighting back. The two begin slugging in the middle of the ring. Tommaso does a Russian Leg Sweep to Lethal and pins. Kick out. Jay goes for the Lethal Injection, but Tommaso kicks Jay. Mike tags in Ciampa, and they stand off. Jay does a Lethal Injection to Mike and pins. Tommaso then knees Jay in the head and covers. 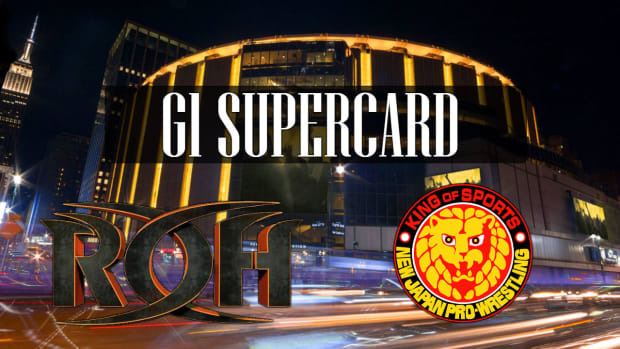 Adam Cole and Tommaso Ciampa remain. Ciampa is gaining momentum and kneeing Adam&apos;s head in the corner. After two knees, Adam Cole stands up and does a brutal Superkick. Tommaso rolls out of the ring, and Cole does a Dive. Tommaso grabs Cole, and does a Power Slam. Adam is sent back in the ring, and Ciampa is hit with a Superkick to the back of the head. As Ciampa goes for him, he is locked in the with the Sleeperhold. Adam locks in a Rear Naked Choke, and brings Ciampa to the floor. Ciampa stands up, and drops Cole down. Lethal comes to the ring, and Cole goes top rope. Ciampa picks up Cole and does Project Ciampa. Ciampa is presented the check, and Prince Nana begins singing. 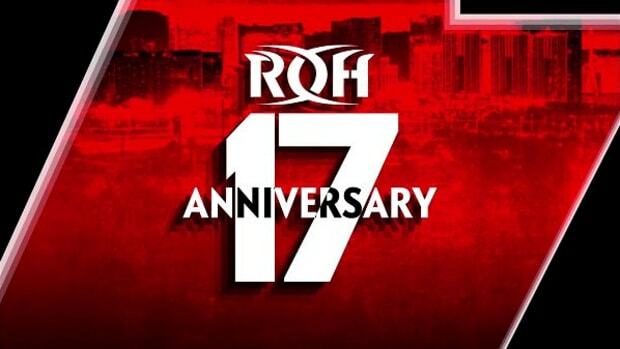 Next week, we will see a Road Rage edition of ROH.